As developement of Internet and online payment methods, as developement as trade online in Viet Nam and are changing purchase habits of everyone. Therefore, long ago OTA – Online Trave Agencies – model understood as companies provide products online services: air ticket, hotel room, tours ... Applied completely for the best of customers comfortable. Easybooking supply perfect services, allow customers can look up, compare fair of local airlines in Viet Nam (Jetstar Pacific, Vietjet Air, Vietnam Airlines) and process booking has completed only done almost 5 minutes. Customers will relieve total because you book fair with genuine price, travel time had provided after done process booking on website without worry about delay or empty seat for agency can’t rebook. Air ticket infomation will be sent direct to email which customer inform while booking after finished booking. Customer can use code fair to check information at easybooking.vn anytime, anywhere. Beside, Easybooking while integrated customer care system closed. With this system, customer will easy to receive electronic ticket right away after paied, update flight status, weather destination through sms central system. Therefore, Contact Center on Demand system combined Customer Relationship manage software is “light dot” of support customer service. System allow our staff contact with customer right away after done process booking. With technological solution integrate perfect, Easybooking.vn is proud of leading brand book online air ticket system in Vietnam. Founded in 2002, spent more than 10 years of development, from the early establishment of only a few employees, the fledgling company had come through many difficult by SARS in 2003 and H5N1 flu in 2004 & 2005, to now, the company Gia Huy has achieved constant development, from a few staff numbers have increased more than 30 managers and employees, the machine operator's activities full company specialized departments. With a team of young and experienced staff, energetic, enthusiastic, hard-working and eager to learn, and the contributions of experts experienced in the aviation industry and services have helped companies achieve achievement TOP 10 best ticket agents for many years due to the airline's reputation votes. 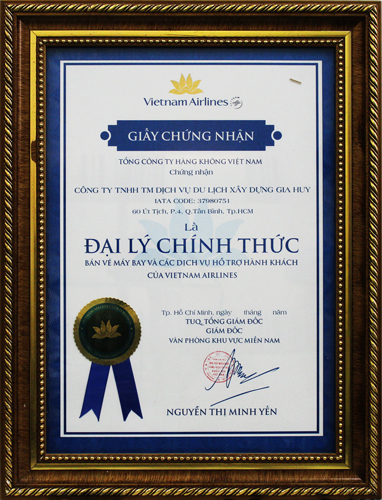 Gia Huy air ticket agency has received certificates from Vietnam Airlines, Jetstar Pacific, Vietjet Airlines and Cathay Pacific. It is the result of the relentless efforts of the staff of the ticket office Gia Huy. We always proud of the professional team and customer-friendly. Stay abreast of customer service and with the enthusiasm and the best service. Confidence of customers for flights to Gia Huy room is shown in the customer more agents selected Gia Huy airfares to accommodate flights to quickly fix the most convenient. As a recognition coming from the airlines. 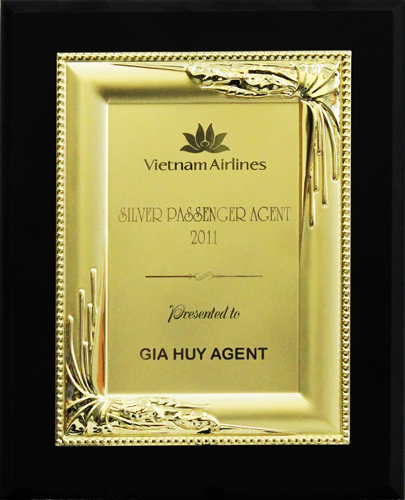 Gia Huy ticket office has received many awards for the agency headed airlines customer numbers. System online ticket booking Easybooking.vn Company Gia Huy was honored with the award Top 40 typical products - dedicated service has been voted by customers. Program evaluation and communications "creative enterprise - Typical products - Services dedicated in 2014" by the Union of Scientific Development Vietnam now coordinated with the City of intellectual property. HCM held under the supervision of the quality of the Association of American quality assessment. 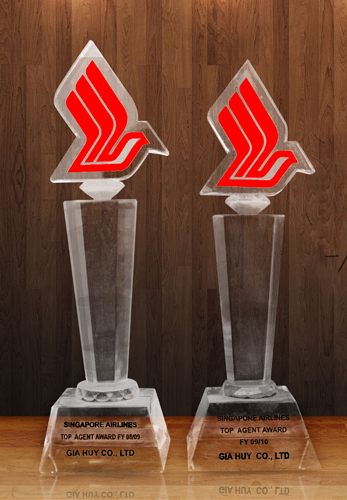 Maintaining and increasing the pace of development on all indicators: sales, market share, human resources, brand value, number of customers, striving to become a trading company, the best air service and continue to keep the brand TOP 10 in the field of air services and travel services in Vietnam. Customer-base value of any enterprise, the sole reason for businesses to survive and grow. The policy of "customer-centric" only entrance road leading to all activities of the company, so we listen to all opinions of customers and more efforts to serve customers better. We always believe: "Each customer is a brick building on a solid foundation of values the company". Looking back over 10 years of development, the leadership and staff of the company Gia Huy very proud of the achieves of our hard work and always strive our best to serve our customers more in addition, customer satisfaction is our best happiness. EASYBOOKING offers many flexible payment method to ensure the most convenience for customers. EASYBOOKING the site to ensure customers' interests in air ticket delivery service home.